#consEUme - That time we went to London and ate and drank our way around Europe. If you are kind enough to follow our nonsense on the social media, you'll know this time two weeks ago we were finishing an epic food challenge. But for those of you who don't (and we really must enquire as to why you don't…) we have thoughtfully summarised the whole two and a half days in one post. So here we go on our food challenge. 28 countries, 28 different lots of food and drink. We started off with a visit to Champagne and Fromage in Greenwich to secure a cheeky doubler, ticking off two countries in one visit. Kachkéis is traditional in Luxembourg and a glass of champagne, obviously from France got us rolling. Some may say it's a cliché, others will give us a hearty pat on the back, but you know what, a cheeky pint of the black stuff meant that Ireland tasted great! A trip across the city to Bayswater, and in the basement of the Latvian Institute we eat and drank country number four. We enjoyed Liellopu Galas Strogonovs - An amazing combination of Rice or Buckwheat in a creamy meat gravy, very much along the lines a stroganoff, with a smash of dill and some chunky pickles. Brilliant! We washed it down with a bottle of Valmiermuiza Amber Lager. Latvia tasted good. A few minutes later we were back on the Queensway and headed to the Byzantium Cafe where we ordered a pair of Souvlaki and two cups of coffee you could chew on. That ticked Greece off the list. So here's the rub, we couldn't eat 28 meals from 28 countries, even settling for the odd snack was going too be much, for two good reasons. The first was pure cost, if we sat down and have even a main course in each place, at London prices we'll go bust quicker than Northern Rock, so we need to be sensible with our choices. Secondly we pride ourselves on our toned and athletic physiques, honestly we really do…, OK that's a complete lie, but we did need to at least in someway consider the calorie intake over the course of the weekend. As a result we decided it would be acceptable to drink some of the countries, hence the earlier Guinness. But we made a commitment to keep the food to drink ratio above 50%. It was a necessary measure as well as like some eighties yuppie we found ourselves in a Wine Bar in the City of London. Pretentious, Moi? 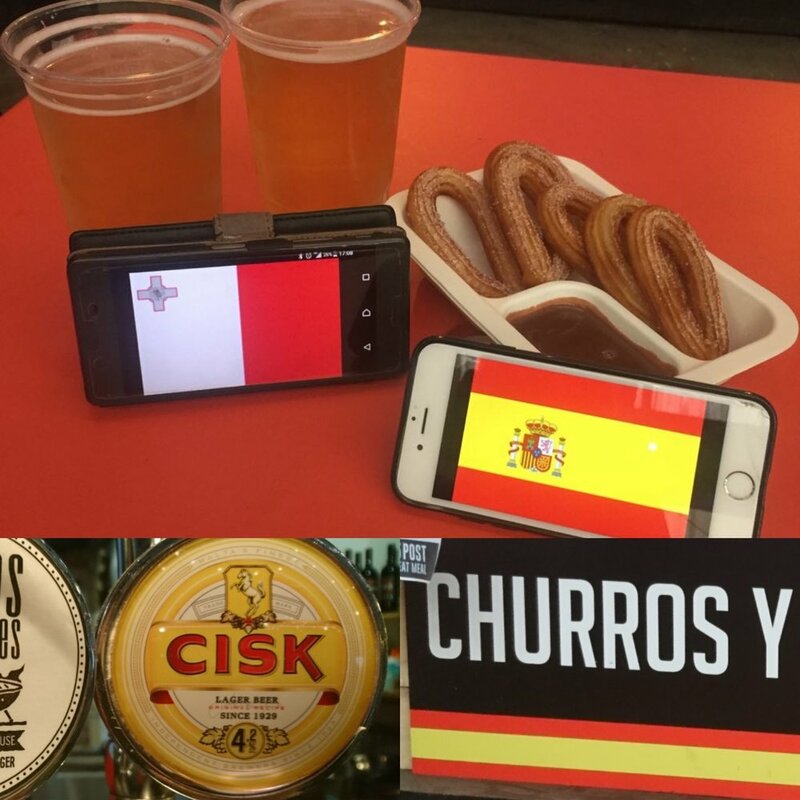 Day Two saw a big push around the markets to try and grab some street food, quick nibbles and the occasional drink to knock off some countries quickly. portugalstaste at Greenwich Market squared us away with a Pastel De Nata and a Tigelada, and that saw us right for breakfast. A quick jump west and we were at Maltby Street Market enjoying Germany, land of the Sausage. Thanks to @hermanzegerman we have Bratwurst and a Currywurst, danke schöne! And quickly ducking over the border, OK we went into the railway arch opposite, we find @speckmobile and wonderful Austria serving up mixed dumplings, an applestrudel and two glasses of Schremser beer. A short walk took us to Borough Market where we enjoyed a Halloumi wrap courtesy of @gourmetgoat gave us Cyprus and Kulin Sausage from Taste Croatia gave us 11 and 12. To a little shop off the Queensway where we secured delicious, nutritious (it proudly announced it was 18% fat! ) 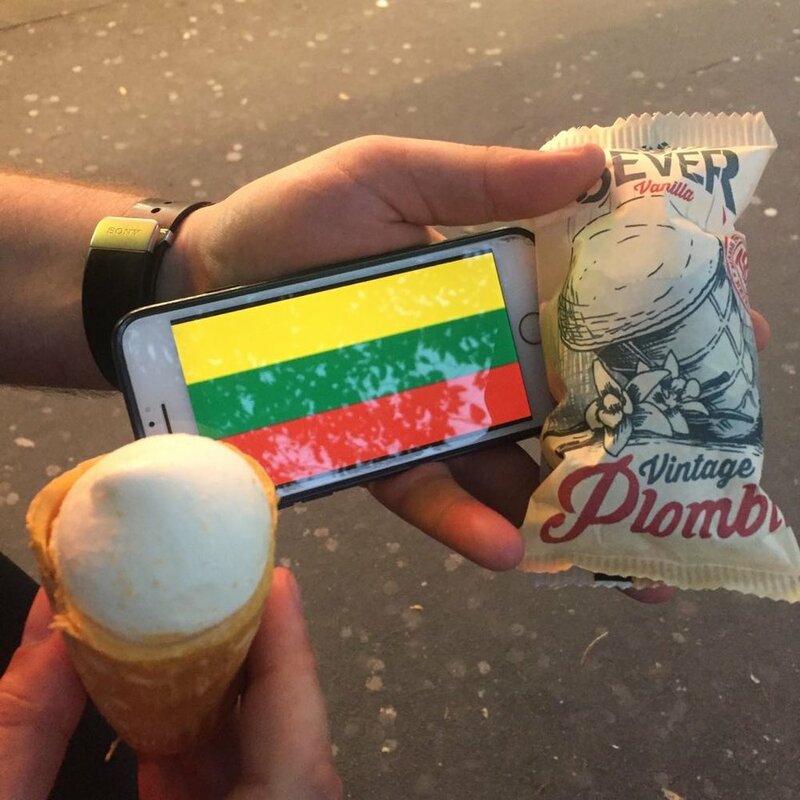 Lithuanian ice-cream! That banked us number sixteen. Some clever planning got us to the Czechoslovak National House in West Hampstead , where we enjoyed Svíčková - a slab of beef in a thick vegetable sauce, and also Halušky with pork belly bacon. Both were excellent and represent the best of the Czech Republic and Slovakia, oh and we washed it down with a suitable Pilsner as well. Back on the tube and into the carnage of Piccadilly Circus to get to De Hems bar and a super strength Oedipus beer, which pretty much did us for the night and closed off day two with nineteen countries done. Day three commenced at Casa Transylvania in Lewisham (see what they did there) but when asked about traditional breakfast dishes the nice guy says they don't do breakfast in Romania! Instead we are starting the day with cake and coffee! The coffee was strong enough to dissolve your tongue. The cakes are what is best described as a super charged tiramisu and banana-custard in a roll. Massive slabs of flavour, and a huge dose of sugar. Good Morning World! A tip off brought us into the Finnish Church in Rotherhithe and a light lunch of meatloaf, mash and a vegetable pancake, accompanied by some rye bread in marvellous company whilst scoring off country 21. 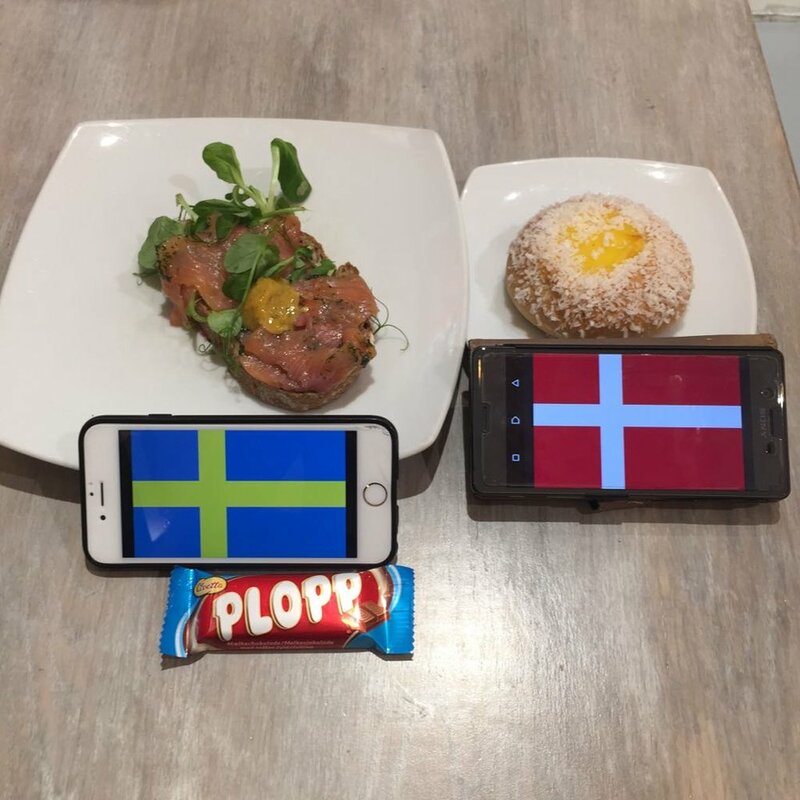 And of course because we are children we bought ourselves a Plopp! Estonian Beer was a pig to find, but thanks to various leads and the power of Google we discovered Viru beer, and best still The Porterhouse in Covent Garden that sold it. A distinctly average beer has never tasted so good! ..
Bulgaria had the potential to do our legs, just like Estonia threatened to do. However Perpericon saved us. It may advertise itself as a pizza place, and was a trek back south of the river, but if you ask for the "other" menu it is all Bulgarian. We enjoyed Sirenka - a feta and mozzarella stuffed garlic bread, Luteniza a red pepper puree dip, Elena is very similar to Parma ham, but with a herb coating and the Lukanka a meaty sausage. A fruity Bulgarian Pinot Noir washed it all down. Two to go! And I make no apologies for getting two beers as our No. 27. 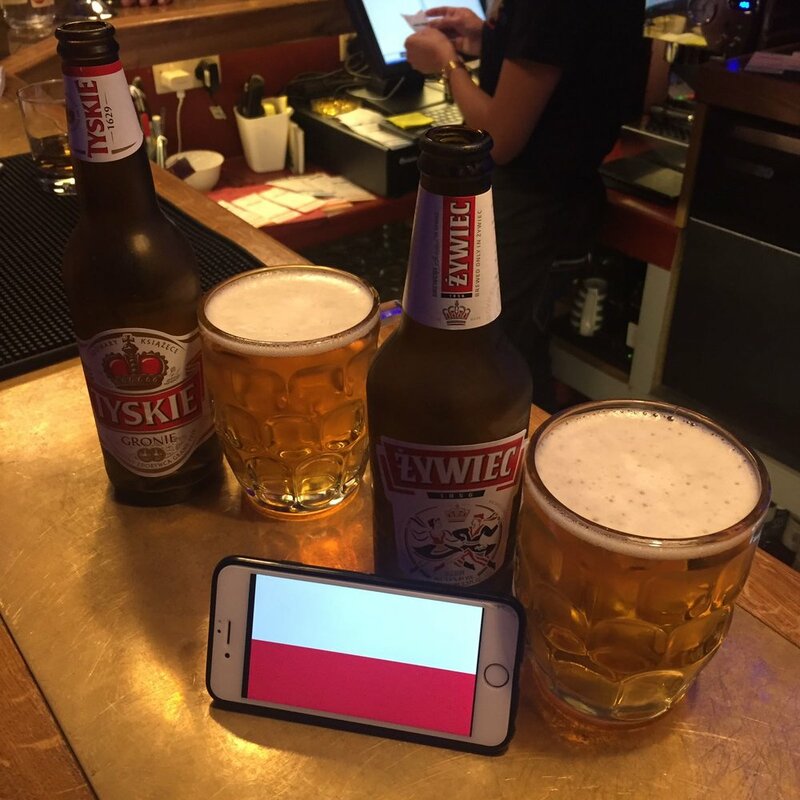 Poland does brew a good beer and we got two great ones from the Polish Music Club in Streatham so that's well within the rules I reckon! They were self-imposed rules anyway... Twoje zdrowie! So that's 27 down and left us with one.... What is a ubiquitous culinary delight for the whole of the UK? Obviously I'd go Neeps and Tatties and a Whisky if I was just Scottish, but it's not.. So what is more UK than Fish and chips (or as most of us know it, a fish supper) , pie and chips, a chip butty and some mugs of tea? Job done - 28 of 28. Two and a half days, 30km of walking and a large amount of public transport, but we managed it. A fantastic foodie adventure, which I'm not sure I shall match anytime soon. But there is a question that has bugged me all the way back home. Did I have to go to London? 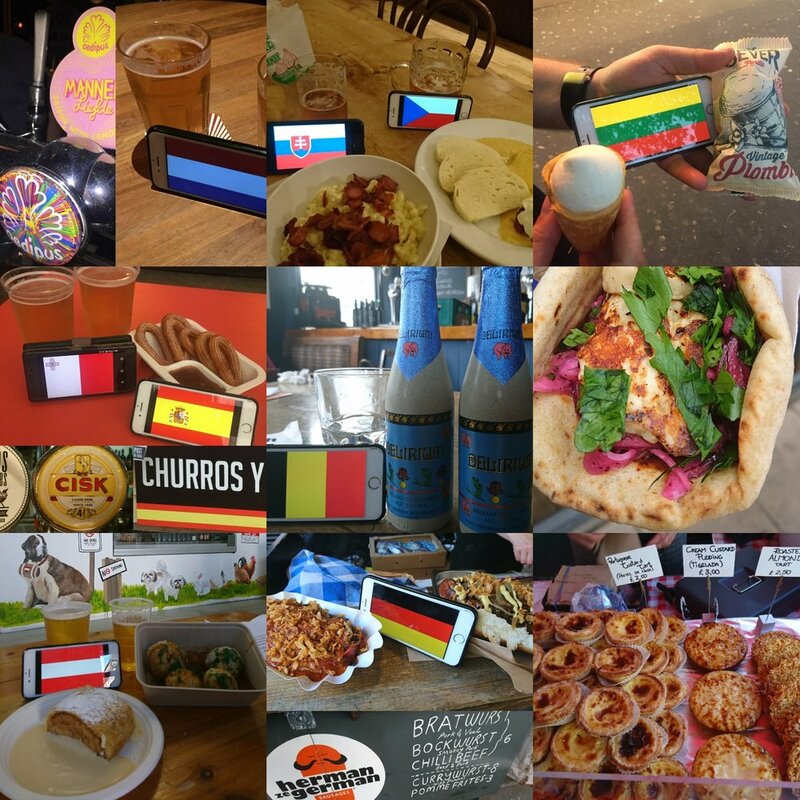 Could I have done an EU food challenge in Scotland, let us know your thoughts.